Denver tikiphiles aren’t just sitting around twiddling their thumbs as they wait for the re-emergence of the on-hiatus Tiki Boyd’s; they’re keeping the fires burning with a “Tiki on the Town” event, sponsored by the new Rocky Mountain Tiki Newsletter. Tomorrow night, April 1, folks are meeting up at the Twin Dragon Restaurant & Lounge (3021 South Broadway in Englewood) at 7pm for flaming pupu platters, volcano bowls, and drinks served in tiki mugs. It’s actually a Chinese restaurant, but you have to take your tiki where you can get it in lean times. Afterward, the group is heading over to Skylark Lounge (140 South Broadway, just north of Alameda) for a show by surf band The Beloved Invaders. Newcomers are welcome (just chime in on the thread on Tiki Central, so they know how many to expect), and be sure to wear your best aloha wear! The Rocky Mountain Tiki Newsletter is a new publication by ZuluMagoo, a free and irregularly published periodical to keep the newly-percolating Denver tiki scene hip to the goings-on. If you’d like to receive the Rocky Mountain Tiki Newsletter, drop a line to ZuluMagoo at RockyMountainTiki@yahoo.com. Congratulations on your soon-to-be opening here in Denver. Aloha, I am interested in talking with you regarding music and entertainment at your venue. Hawaiian-way is from Hawaii and promotes exceptional Island Talent & Diversity of music (both Celebrity Non-Celebrity) in the islands, as well as here in Denver and around the country of artists who now reside around the country. 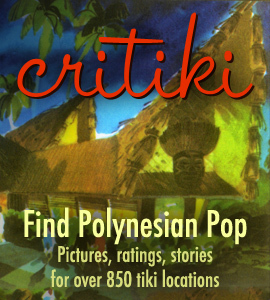 Including Hawaiian/Polynesian shows, background music and contenporary, World Sound music for dancing as well as Cabaret. My office is in Longmont, CO. Would love to “talk story” with you at your convenience. Look forward to hearing from you. Do you accept private parties? Planning a surprise 40th birthday in November. Sorry, but I can’t figure out where your restaurant in Denver is located? Could you please give me some contact information? Thank you so much!